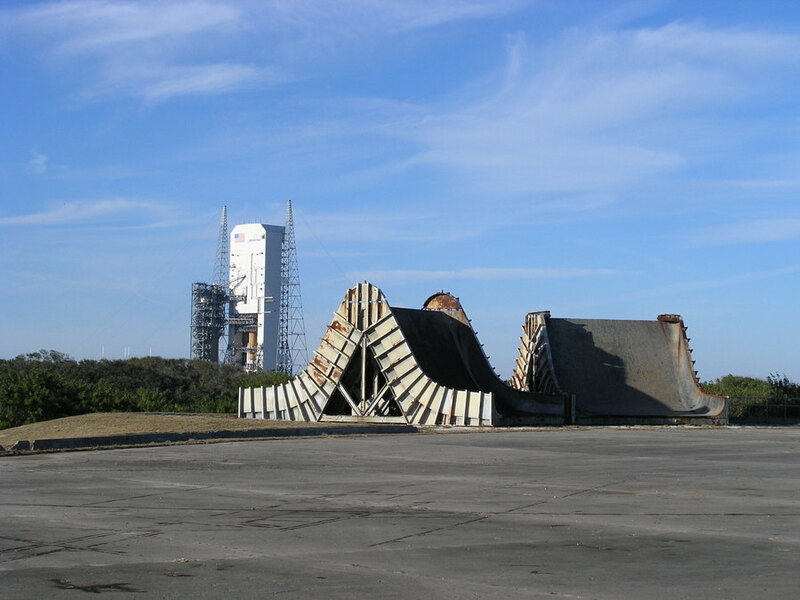 Bill, Dave, Andrew, and I took a self-guided tour of the KSC grounds, visiting old, abandoned launch pads. Our official but temporary badges let us do this unescorted, and it was quite an experience. Dave and Bill provided quite a history lesson as we drove from pad to pad, going in reverse chronological order. First stop was Apollo 1, and here we see the "buckets" used to deflect the exhaust to the sides.